William Clay Ford Sr. (March 14, 1925 – March 9, 2014) was the youngest child of Edsel Ford and was the last surviving grandchild of Henry Ford. Ford served on the boards of Ford Motor Company and the Edison Institute. Ford owned the Detroit Lions National Football League (NFL) franchise. Born on March 14, 1925, in Detroit, Michigan to Edsel Ford and Eleanor Lowthian Clay, Ford served in the U.S. Navy Air Corps during World War II. Following the war, Ford married Martha Parke Firestone, the granddaughter of Harvey Firestone and Idabelle Smith Firestone, on June 21, 1947. They had four children together: Martha Parke Morse (b. 1948); Sheila Firestone Hamp (b. 1951); William Clay Ford Jr. (b. 1957); and Elizabeth Hudson Ford (b. 1961). William first met Martha at a lunch in New York arranged and attended by both of their mothers, according to the biography The Fords. Martha then was a Vassar student who had the college nickname “Stoney.” William was a naval cadet at St. Mary's U.S. Navy Pre-Flight School .They married on June 21, 1947 at St. Paul's Episcopal Church in Akron, Ohio. By that time both families had acquired considerable wealth, and the matchup between the grandchildren of two empire-builders was reported by numerous news outlets. The Akron Beacon Journal called the Firestone-Ford nuptials “the biggest society wedding in Akron’s history” and “the biggest show Akron has seen in years” in numerous articles chronicling the event. The couple received gifts from F.B.I. Director J. Edgar Hoover, media publisher John S. Knight, and Mina Miller Edison. The couple had four children: Martha Parke Morse (b. 1948), Sheila Firestone Hamp (b. 1951), William Clay Ford, Jr. (b. 1957), and Elizabeth Ford Kontulis (b. 1961). Her son William was as of 2015 the Chairman of the Board of Directors of Ford Motor Company. He had previously been the Chief Executive Officerand Chief Operating Officer of Ford. William also serves as Vice Chairman of the Detroit Lions. The Fords have 14 grandchildren and 2 great-grandchildren. In 1948, a year after Henry Ford's death, Ford was appointed to Ford Motor Company's board of directors. Ford graduated from the Hotchkiss School in Lakeville, Connecticut in 1943 and received a Bachelor of Science in Economics from Yale University in 1949; he was a member of the Psi Upsilon fraternity, captain of the soccer and tennis teams, an honorable mention all American selection in soccer senior year, and winner of 7 varsity letters as a collegiate athlete. After graduating, Ford worked for the Ford Motor Company, and briefly led the Continental Division. The Continental Division, however, was short-lived and merged with the Lincoln Motor Company shortly before Ford's public stock offering. Ford redesigned the Lincoln Continental, a vehicle his father created; in 1955, the Continental Mark II was released. Only two pictures adorned his office wall, his father's Continental and his updated Mark II. Ford was chairman of the board at the Henry Ford Museum, from 1951 to 1983. He was also involved in other historic properties, serving on the boards of the Wayside Inn and Seaboard Properties, which managed the Dearborn Inn and Botsford Inn. On April 10, 1952, an iron ore-hauling ship, the SS William Clay Ford, was named in honor of him. He was Ford Motor Company's Design Committee chairman for 32 years, from 1957 to 1989. He served on the board of directors for 57 years, retiring on May 12, 2005, including being chairman of the Finance Committee. His son, William Clay Ford Jr., was Ford Motor Company's CEO at the time. Ford died of pneumonia, five days before his 89th birthday, at his home in Grosse Pointe Shores, Michigan, on March 9, 2014. He was buried in Woodlawn Cemetery, Detroit. ↑ In 2000 the company restructured and paid out a $10 billion special dividend. According to an article from 2000, incidental to a repurchase of outstanding shares: "The Ford family holds all 71 million shares of the company's Class B stock, along with a small number of the company's 1.1 billion common shares. Under rules designed to preserve family control and drafted when the company went public in 1956, the family holds 40 percent of the voting power at the company as long as it continues to own at least 60.7 million shares of the Class B stock -- even though the Class B shares make up only 6 percent of the company's overall equity. ... Why does this exist? The Ford family owns all 70+ million shares of the Class B stock. It is a way for them to ensure they keep control of the company no matter how much stock they have to issue to avoid bankruptcy. Some argue that dual class structures are inherently unfair because you are decoupling ownership from voting power." 1 2 "Alumni Award: PREVIOUS RECIPIENTS". The Hotchkiss School. 2004. Retrieved March 8, 2015. ↑ "William Clay Ford Biography" (PDF). Ford Motor Company. March 9, 2014. Retrieved March 9, 2014. ↑ Lacey 1988, pp. 462-463. ↑ Lacey 1988, p. 642. ↑ Kennon, Joshua. "A Real Life Example of Dual Class Structures in a Public Company: A Look at Ford Motor's Class A and Class B Shares". Investment for beginners. About Money.com. Retrieved January 26, 2015. ↑ Lienert, Paul (March 9, 2014). "William Clay Ford Sr., grandson of pioneer automaker, dies at 88". Chicago Tribune. Retrieved March 9, 2014. ↑ "Detroit Lions owner William Clay Ford Sr. has died". WXYZ-TV. March 10, 2014. ↑ Chris Poturalski (March 9, 2014). 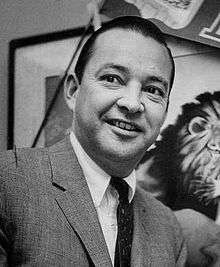 "Detroit Lions Owner William Clay Ford Sr. Dies". WXMI. ↑ "Ford Motor Company Releases Statement On Death Of William Clay Ford Sr.". Dearborn, MI: CBS News. March 9, 2014. Retrieved March 9, 2014. Lacey, Robert (1988). Ford, The Men and the Machine (First ed.). Boston: Little Brown and Company. pp. 462–463. 642. ISBN 9780316511667. ISBN 0316511668.